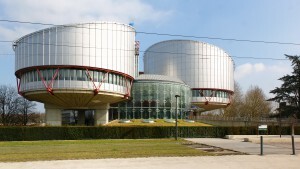 Does the European Court of Human Rights (ECtHR) read the UCall blog? One would almost be inclined to believe so. In an earlier UCall blogpost, we criticized the Court’s approach to life imprisonment cases. In particular, we took issue with the imposition of a strict version of the European rehabilitation approach to penalties (‘the right to hope’) on third states. It is recalled that in Trabelsi v. Belgium (2014), the Court found Belgium in violation of Article 3 ECHR – the prohibition of inhuman treatment – by exposing presumed terrorist Trabelsi to the risk of an irreducible life sentence by extraditing him to the United States. We took the view that in this case, the Court did not do sufficient justice to the possibility of earlier release in the United States, e.g., through presidential pardon, and voiced concerns over the viability of transatlantic anti-terrorism cooperation. In Hutchinson v. United Kingdom, the Court now seems to have made a quasi-U-turn by overturning its own judgment in Vinter v. United Kingdom, on which Trabelsi was ultimately based. In Vinter, the Court had held that a whole-life prisoner was entitled to know, at the outset of his sentence, what he must do to be considered for release and under what conditions, including when a review of his sentence takes place or could be sought. It then went on to find that the UK had violated Article 3 ECHR with respect to the applicants because, given the lack of clarity in domestic law concerning the existence of an Article 3-compliant review mechanism, it appeared that the life sentences imposed on them were irreducible. After Vinter, however, UK courts concluded that the ECtHR was actually mistaken: in R v. Newell; R v. McLoughlin  EWCA Crim 188, the Court of Appeal held that, unlike what the ECtHR believed, ‘the law of England and Wales (…) does provide to an offender ‘hope’ or the ‘possibility’ of release in exceptional circumstances which render the just punishment originally imposed no longer justifiable’ (para. 35). One would assume that the ECtHR would not be particularly amused by this second-guessing of its own – Grand Chamber – judgment. But then, in this new case of Hutchinson v. UK, the Court appears to have no problems in admitting that it got it wrong in Vinter, or at least that it had not paid proper attention to the self-correcting capacities of states’ domestic legal systems. Relying on the well-known doctrine of the margin of appreciation, the Court recalled that it is ´primarily for the national authorities, notably the courts, to resolve problems of interpretation of domestic legislation´ (Hutchinson, para. 24), and that the ‘Grand Chamber’s judgment in which it expressed doubts about the clarity of domestic law, the national court has specifically addressed those doubts and set out an unequivocal statement of the legal position, the Court must accept the national court’s interpretation of domestic law’ (para. 25). To be sure, the Court does not backpedal on its affirmation of the right to hope for those sentenced to life imprisonment. That being said, it recognizes that, at first sight, unclear legal provisions do not exclude the possibility of early release on broadly defined compassionate grounds. In addition, it confirms that a discretionary decision by a political actor – the Secretary of State for Justice – can meet the procedural requirements of a detainee’s right to hope; a judicial decision is not required. This opens perspectives for ECHR Contracting Parties exposing, via extradition, individuals to the risk of life imprisonment in third countries – such as the US in Trabelsi. As it happens, the case of Trabelsi is currently pending before the Grand Chamber of the ECtHR. It is likely that the Court’s decision in Hutchinson, which acknowledged the agency of the individual state, will impact on the Court’s deliberations (see in this respect also ejiltalk). Arguably, if in an internal life imprisonment case the discretionary power of a political actor is considered to pass muster, such power should be recognized a fortiori in an external case, concerning possible life imprisonment imposed by a non-ECHR Contracting Party. In our earlier blogpost, we flagged that the Court’s judicial activism risks estranging states, notably the United Kingdom, from the Court, with dire consequences. By now deferring to the UK´s legal procedures in Hutchinson, it appears to be currying favour with the UK again. It would be a travesty if an ECHR Contracting Party such as the UK is given a larger margin of appreciation than a non-ECHR Contracting Party. In fact, the contrary should happen. Therefore, the Grand Chamber in Trabelsi is advised to pay deference to the possibility of early release through presidential pardon in the US, and to rule that Belgium did not violate Article 3 ECHR by extraditing Trabelsi to the US. Dit bericht werd geplaatst in Verantwoordelijkheid voor Mensenrechten en Internationale Verplichtingen op februari 24, 2015 door Cedric Ryngaert.